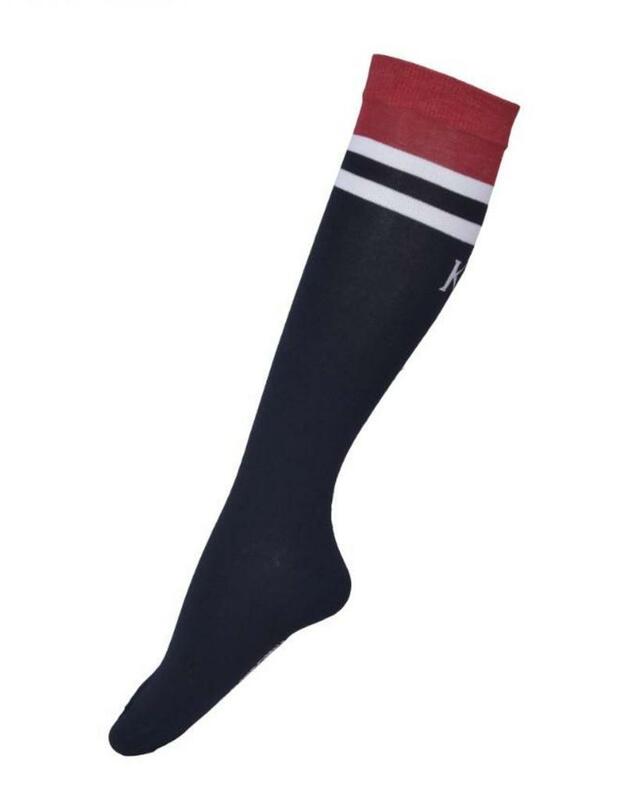 Coolmax knee socks with superior overall comfort and extra softness. Moisture management and quick dry effect. Contrast colour on top calves and rib. 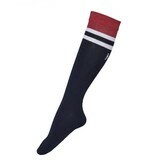 Cream colour stripes on calves. 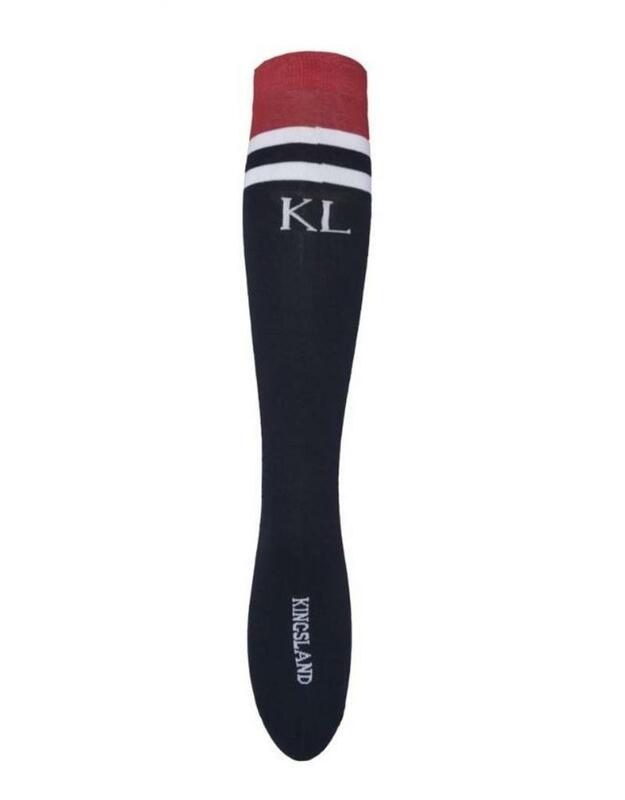 Kingsland logo under foot and KL on back calves.